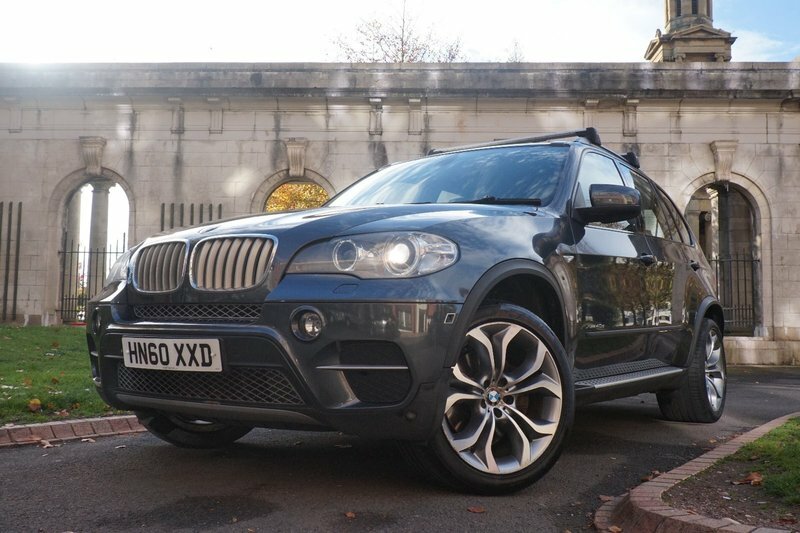 A stunning 2 former owner BMW X5 40D highlighted with TOP SPECS, which include 360 Surround View, Reverse Camera, Nevada Leather, Elec/Heated/Mem Seats, Xenon Headlights, Electric Steering Column, DAB Radio, BMW Nav, Cruise Control, Park Distance Control (F&R), Bluetooth, and Auto Folding Mirrors. Full service history which includes 4 services with BMW dealer and 4 services with BMW specialists. Last serviced on 05/03/18 at 112333 miles. NEW MOT on in Oct 18! Spare key included. 3 Month Warranty (can be extended to 24 months), Low rate Finance package available! PX Welcome! 12 Month AA Break Down Cover! We are open Sundays too! Please call to arrange an appointment!